Let’s say you have a driver’s license. Have you ever tried to drive a car without a backside mirror? You will tell me, it is hardly possible as you don’t know what is behind you, and that is crucial how you will steer the car. You will be in the same position, if you run a website, without using Google Analytics data. You will be like “blind” for what is going on out there. GA is a free tracking service, provided by Google. Its main functionality is to give a picture of everything that happens with the visitors of your website. If your website was a company, imagine that Google Analytics would be your Marketing & Sales department. It is that important! Google Analytics supplies you with data and analysis of the traffic (how many visitors come on your website), the demographic profile of the audience (age, gender. etc. ), location (where the visitors come from). Another significant information segment is connected with the website content – which pages have you visited, what is the duration of the visit, etc. In fact, the data you can get from Google Analytics is enormous, and you can dig deeper there a lot. The description of its features deserves a separate post. But I hope you got the overall idea of how unquestionable is to have Google Analytics connected to your website(s). How to add Google Analytics to a website? As it is Google functionality, the first condition you have to answer is to have a Google account. If you have such, just skip this step. If you don’t have one, it’s straightforward. Google has centralized the process, and you can manage all their services, like Gmail, Google Drive, Youtube and many more, from one account. Click HERE to create your Google account. Note: Please, bear in mind that due to the constant changes made, your screen may look a bit different to the images shown in this article. On “What would you like to track,” most probably you will want to click on “Website” option. On “Account name” type in what have chosen for your account’s name. Website’s name” type in the name of your site. For the sake of the training, let’s call it My new website. Website’s URL” chose between http and https option and type in your website’s name. In our example it is www.mynewwebsite.com. Select appropriate Industry Category and Time Zone. Read the Data Sharing Settings. It is up to you to check some or all of them. Click Get Tracking ID down the page. Read Google Analytics Terms of Service and if you agree with them, click Accept. What you have to do is to copy either the Tracking ID or the Code and paste it into the appropriate slot in the back end of your site. If you are using a third-party web hosting provider, like WordPress or GoDaddy, you will need to follow their instructions to set up Google Analytics on your website. In fact, Tracking ID and Code are two parallel and independent approaches that you could use to connect your website with Google Analytics. Both of them will do the same job for you, and it is up to you to decide how to proceed. If you use the Tracking ID option, you will do it by installing a plugin. In this guide, I will show you how to embed the tracking ID into a WordPress website, while using All in One SEO plugin. As its name suggests, this is a great plugin, when it comes to the search engine optimization of your website. It has free and paid versions, but typically the free one will be more than enough for you. I am personally using it, and I highly recommend it. HERE you can get every info you might need about All in One SEO plugin, prior installing it. Click on the plugin menu and then click on General Settings. Paste there the Tracking ID code. In our example it was UA-115765604-1, but of course, yours will be different, as each code is unique. Go to the bottom of the page, click Update options button, and that’s it! 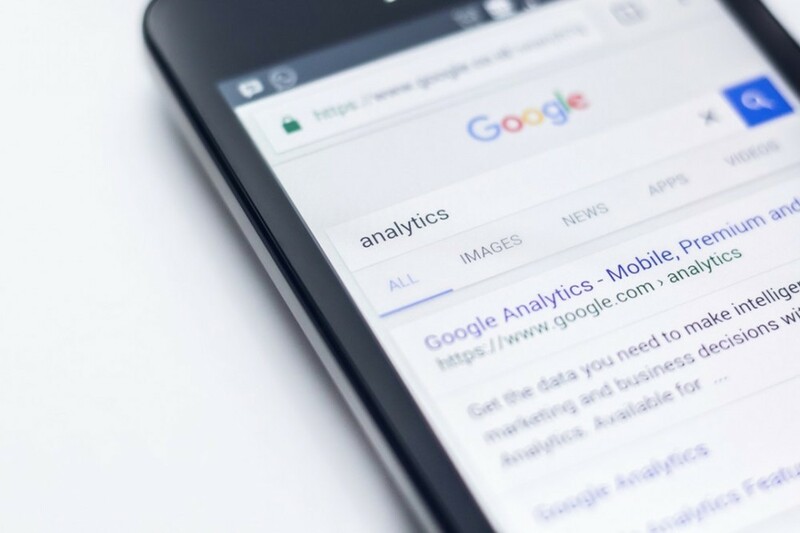 You have already established the connection between your website and Google Analytics! I hope this step by step guide on the topic “How to Add Google Analytics to a Website” gave you clarity about how strategically important is this Google service to the successful development of your online activities. I am an online marketer, and since I started using this tool, I significantly improved my performance and results. But if I have to share with you what is the top factor to be beneficial in online marketing, it would be the quality content. The content comes first, and tools come after that to help you fine tune the process. Find HERE 12 strategies how to write good content for a website. I would love to hear from you! What do you think about Google Analytics? If you have any issues with connecting to your website, I would be happy to give you advice! Just write me below, and I will answer you! Thank you for the step by step guidance of Google Analytics. I think it is the very thing that many of website owners forget to do (or is it just me? LOL). It is a simple step to do but very important! Thank you for a reminder. When do you think the best time to do this. A very beginning or after we see some traffic into our website? I agree with you – sometimes there are steps which are easy to do, but we tend to overlook! Such step could be connecting your website to Google Analytics. It is a knowledge treasury, which one shouldn’t miss! 1. About connecting your site – you can do it at the very beginning; it is not a problem at all. 2. As for checking and analyzing the statistics – a lot of websites’ owners tend to get obsessed with Google Analytics (and any other analytical tool) at the beginning and to check it every day. This is not only redundant but may distract you from more important stuff you have to do, like developing your site. My advice is: connect at the beginning but start checking your stats after the third month when you are supposed to have some traffic.